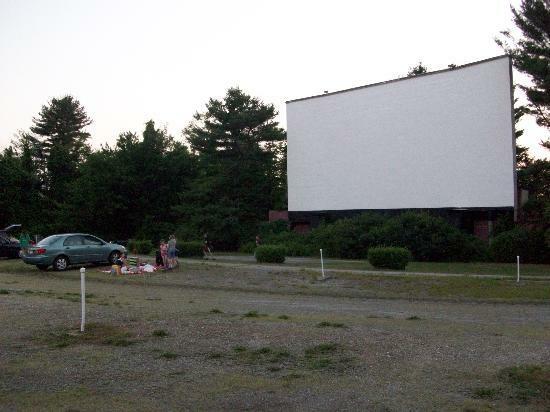 Please enjoy our list of all of the drive-in movie theaters in Maine. 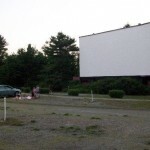 The Bridgton Drive-In Theatre shows double features every night during the summer season and on weekends during the fall season. They have two screens, each showing its own double feature. They will sometimes have triple features for holiday weekends. 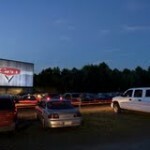 The Junction Entertainment and Music Park isn’t a drive-in movie theater per se, but an outdoor festival that lasts all summer long including concerts, river trips and some drive-in movies. Movies currently happen only in June. 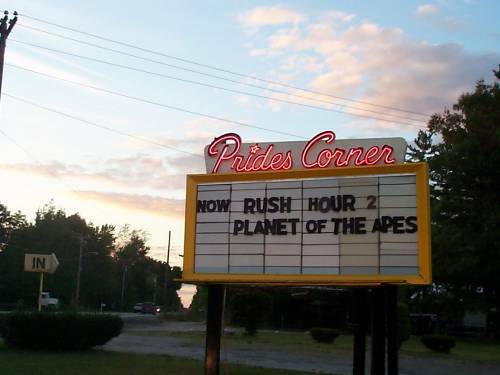 The movies are not first run, but they form a part of an overall entertainment center that is one of the highlights of Maine’s local culture. 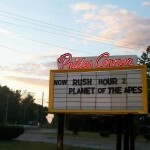 The Prides Corner Drive-In provides double and sometimes triple features on a single screen. They are open all day during the summer season and on weekends during the offseason. They have a very classic looking concession stand. 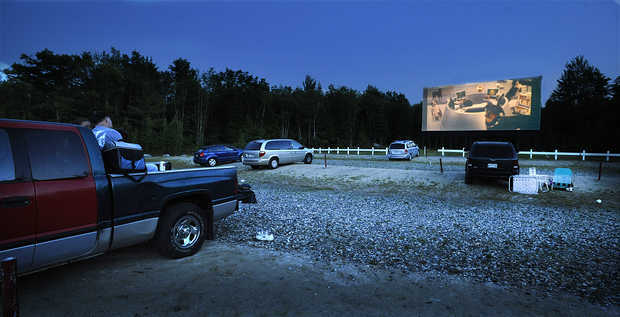 The Saco Drive-In Theater is one of the oldest drive-ins in the United States, having been founded in 1938. They have a single screen, showing double features during the week for the summers and on weekends for the fall. They have a grass surface, rather than asphalt, and they allow pets. 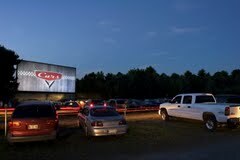 The Skowhegan Drive-In shows double features on a single screen during the summer season. They have reasonably priced concession stand products, and provide a family-friendly atmosphere. 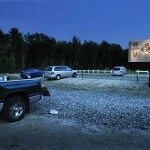 The Skylite Drive-In shows a single first-run feature every night on its single screen. 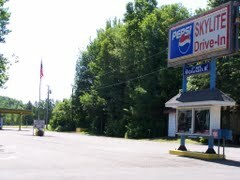 The Skylite is the northernmost drive-in in the United States, and its films start at dusk, so even a single film can run relatively late. They still have a working speaker system for those who don’t want to use their own radios.